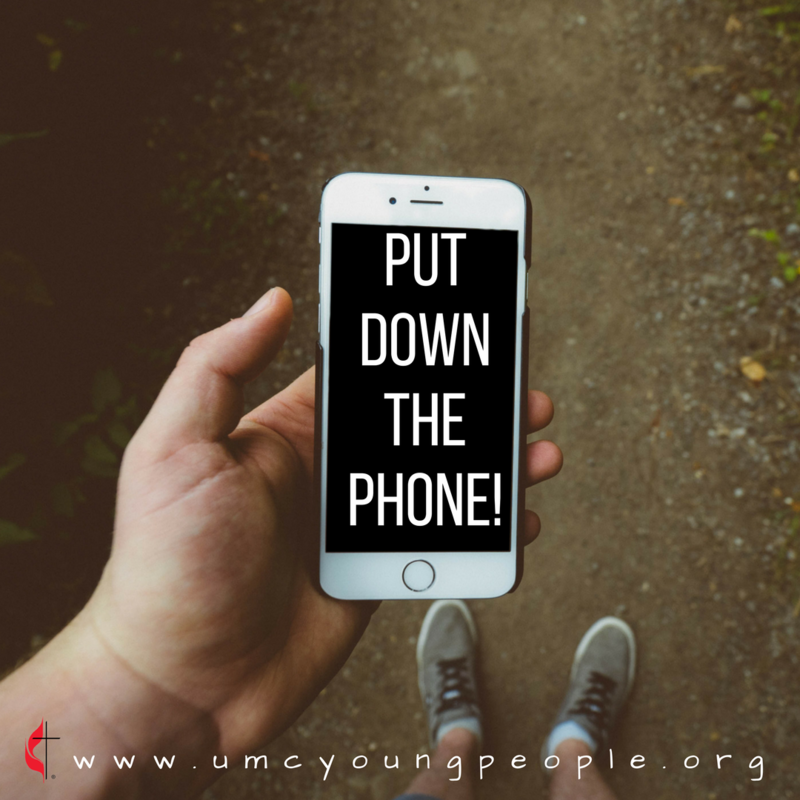 Home // The Latest // Put The Phone Down! I’ll be the first to admit it. I am addicted to my phone. This became especially apparent to me when I lost it while cross country skiing for the first time. An unzipped pocket, two new feet of snow, and my own clumsiness contributed to this disaster. Thankfully, I had bought insurance so it wasn’t as painful of a loss as it could have been. But the absence of my phone during that time showed me just how dependent I had become. Text messages missed, constant pocket checks, needing the time, forgetting that I used my phone as my alarm clock, having to pull out my laptop if I wanted to look something up. All very insignificant inconveniences, but enough to have me wondering just how dependent I was on this little screen. It’s something I keep noticing, how phones fill those spaces where connections could occur. Waiting for class to start, waiting in line, waiting for that meeting to begin, for the food to come when you’re out at a restaurant. Myself, waiting for church to begin and pulling out my phone instead of doing the work of forming community and introducing myself to the people around me. The irony, as my coworker pointed out, is that most people will be reading this article on their phones. Now, I’m not saying we should throw away our phones. I just wonder at how we can take moments to pause and, instead of investing in distractions, invest in relationships. How many phone games or Facebook posts have us missing out on a new friendship or a deeper level of trust with our current ones? “Be still, and know that I am God” is the often-quoted verse from Psalm 46, but why do I mention that? Because this stillness leads to knowing and understanding God, one worthy of worship. Just like any relationship, God asks us to take time to know him, to lean into this holy presence. I wonder how many moments with God I’ve missed because I didn’t bother to just sit and be. Listen. Our God may make the mountains shake and waves roar, but let us remember that Elijah described the Spirit’s whisper as the still, small voice. And this is work, the stillness. You try. How easy is it to sit and listen? I think about this in my prayer life. It is so easy to talk and talk but harder to give God a moment of my silence. Truthfully, it is easier to speak and voice my worries rather than let God whisper over the current situation. But I find, when I offer this sacrifice of time, it doesn't even matter if God audibly speaks. Sometimes it is the stillness itself that I need most. Sometimes it is in the quiet where I can hear my own thoughts and their desire to align with the Holy Spirit’s peace. I find what I truly need when I stop asking and rest in the presence of my God who delights in giving. Discussion Questions: This week, how are you listening to God? What distractions do you need to take a pause from in order to be still or connect more deeply with God or those around you?